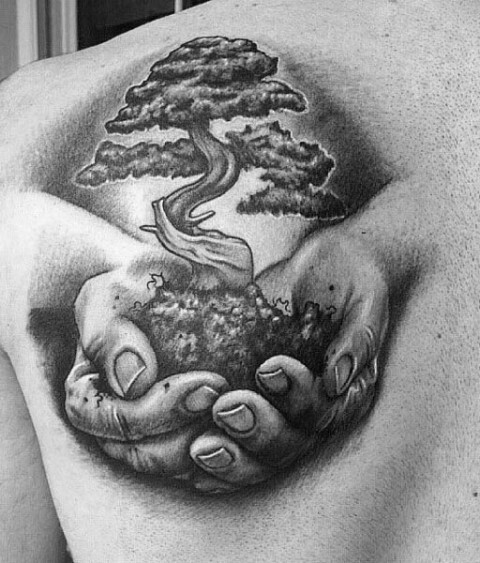 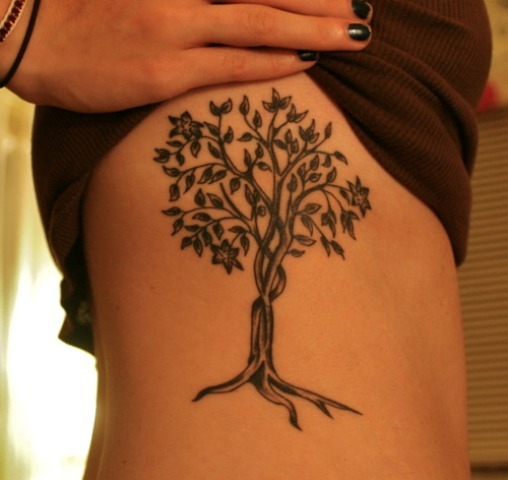 From my point of view the tree of life tattoo idea is one the most meaningful tattoos on the planet. 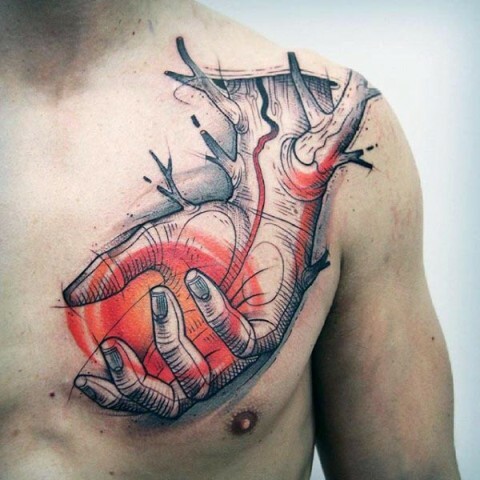 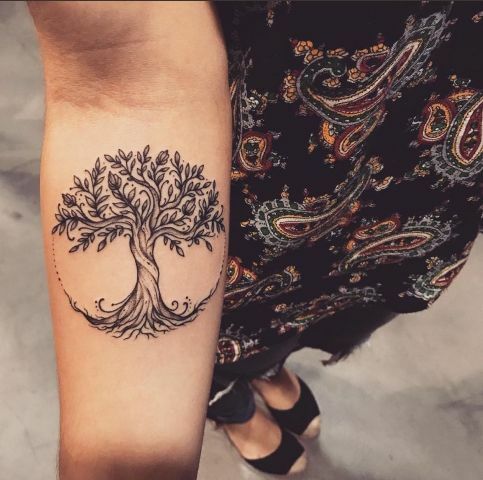 So if you want to ink something special, significant and gorgeous, you should read this article and choose this type of tattoos. 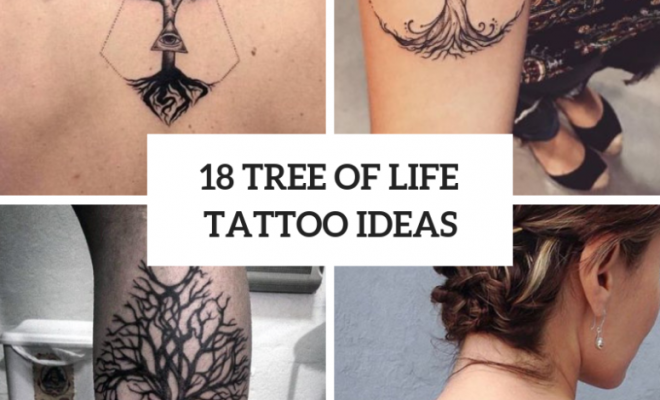 But, at first, let’s find out what the tree of life tattoos mean. 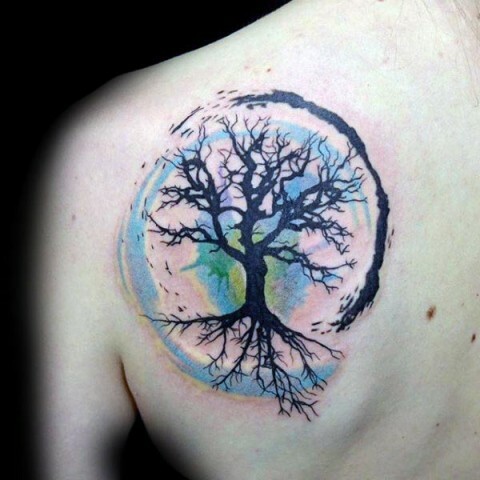 It symbolizes a cyclical life and shows that a hope, a love, all knowledge came from the same source. 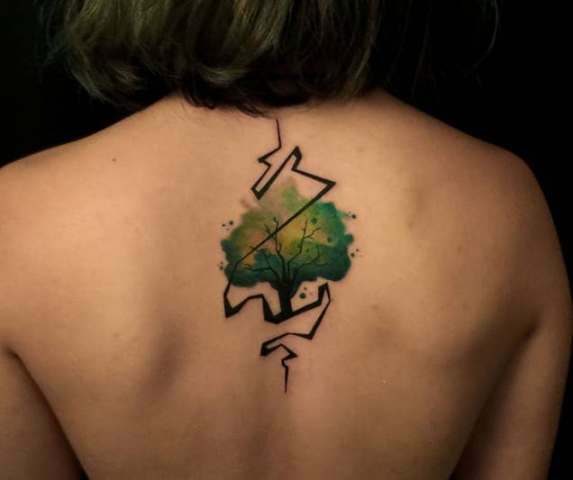 It also means a progressive growth and a strength. 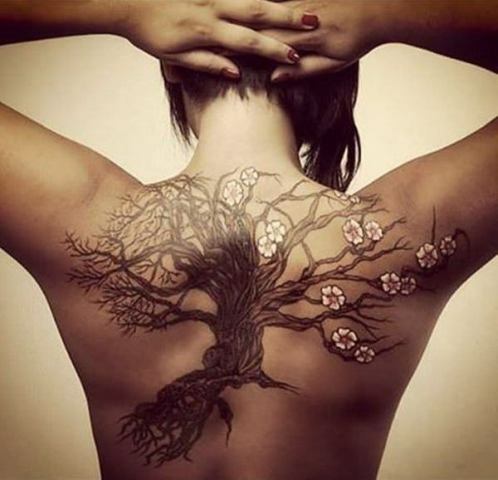 Secondly, think about how your new tattoo will look. 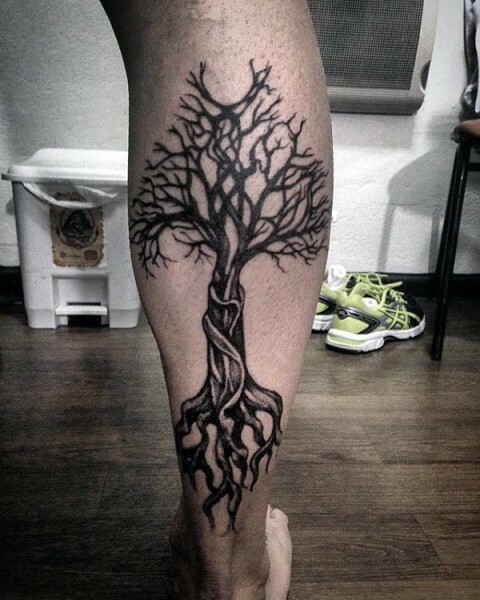 Usually tattoo artists draw branches and roots that intertwine cycles, so you can follow these examples. 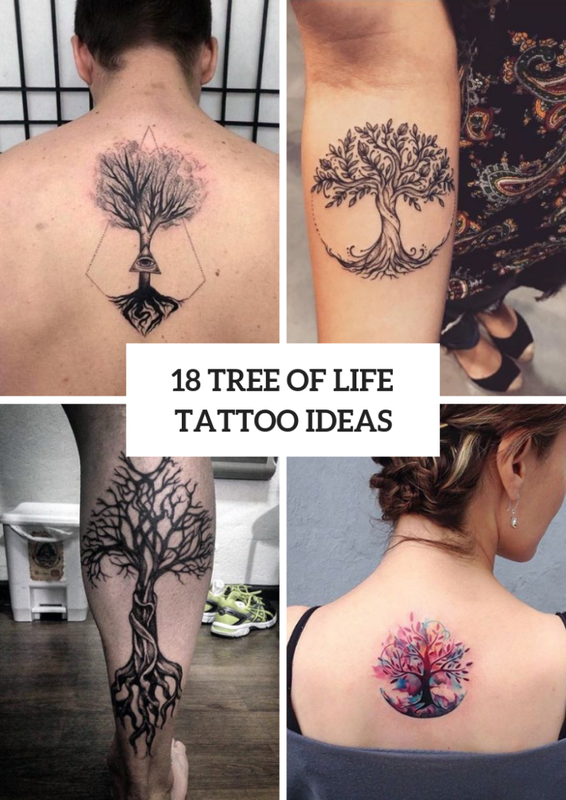 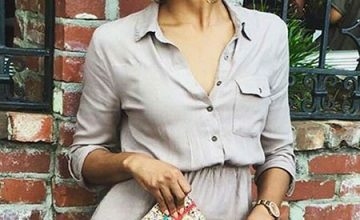 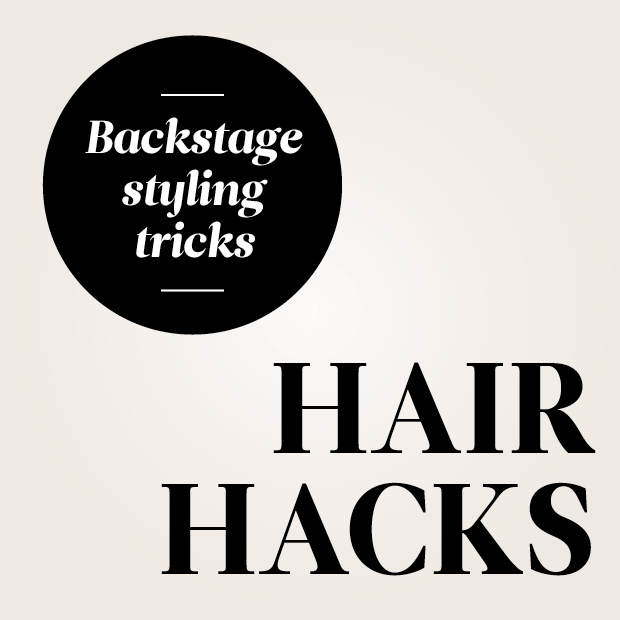 For more ideas scroll down and get inspired! 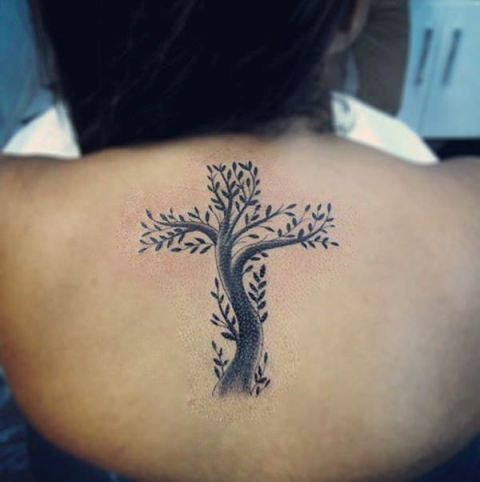 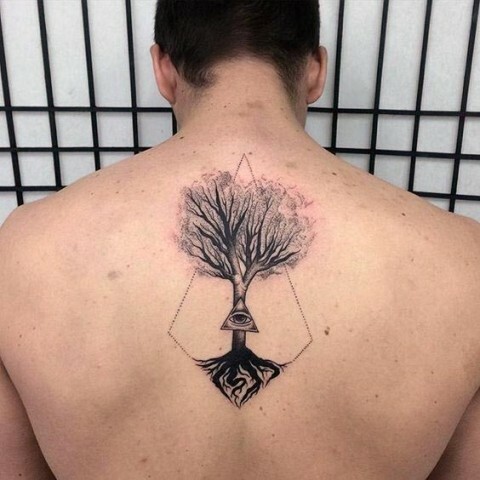 If you love a minimalistic style, then no doubt you should pay an attention to black or black-contour tattoos, for example, you can make a black all seeing eye and tree of life tattoo and place it on your back. 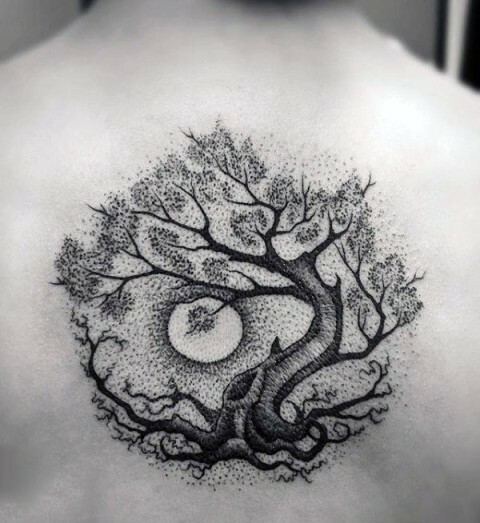 Or you can ask your tattoo artist to ink a black tree of life with a moon tattoo on your shoulders or neck. 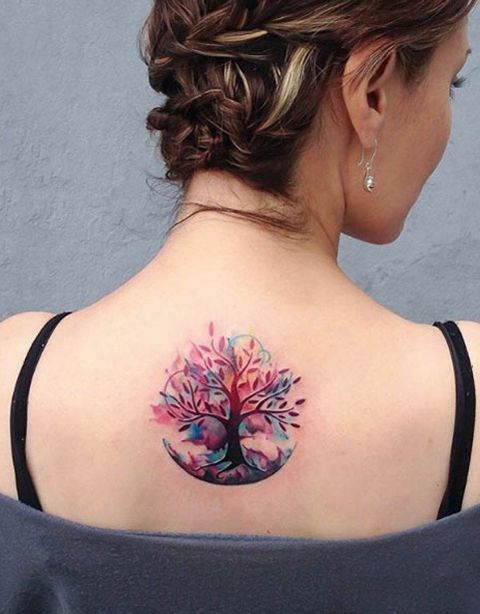 Wanna something eye-catching and creative? 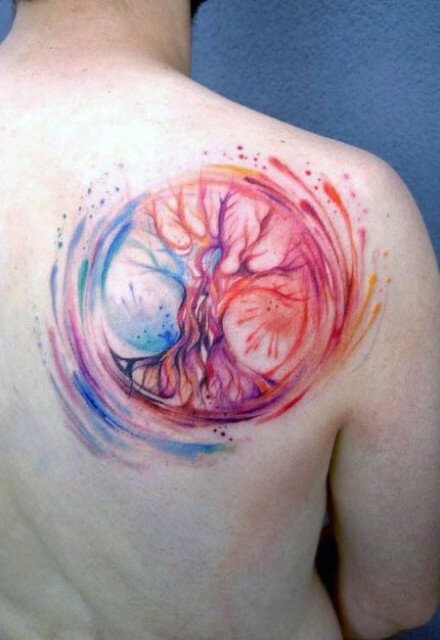 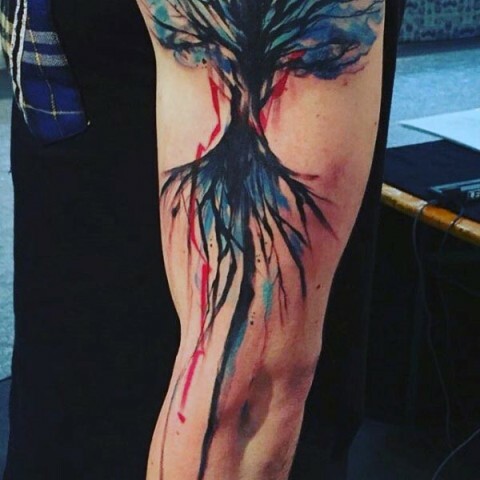 Then take a look at colorful tattoos such as a watercolor tree of life with splashes tattoo on the shoulder. 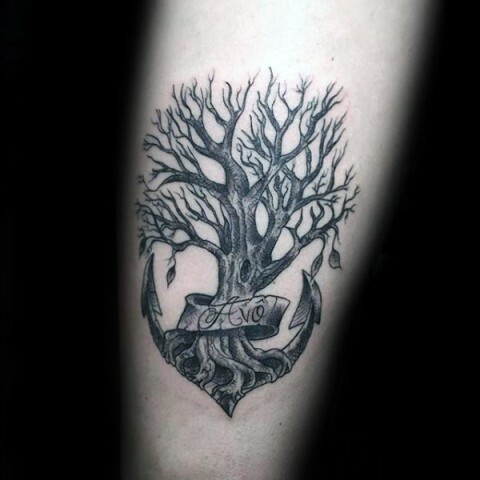 Or you can make a real heart shaped tree of life tattoo on your chest or an anchor shaped tattoo on your forearm. 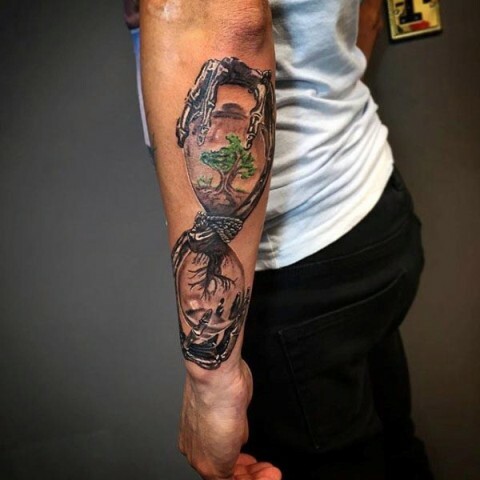 One more cool idea is to ink a realistic hourglass tattoo with trees of life inside on your arm. 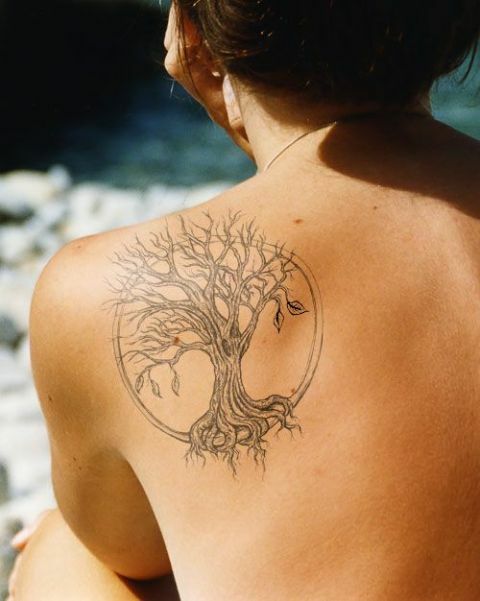 If you want a big tattoo, then draw a brown tree of life tattoo with cute white flowers on the whole back or make a schematic tattoo on the side. 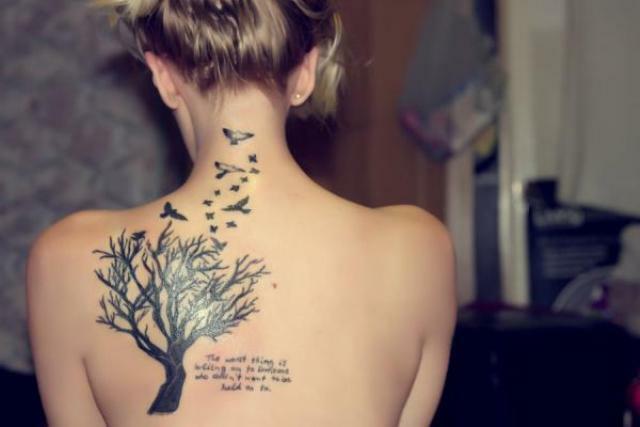 To create a more special tattoo you can add important phrases or symbolic details such as images of birds to it.